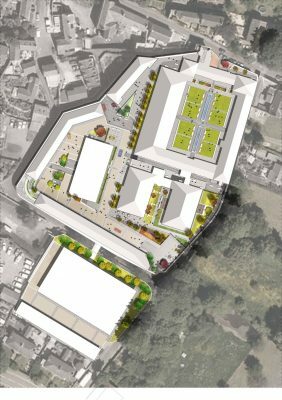 27th of February 2017 – Planning permission has been granted for architect Purcell’s two prison redevelopments for City & Country. 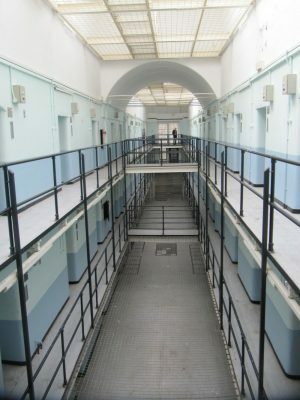 Dorchester prison in Dorset and Shepton Mallet prison in Somerset will be restored and converted into high quality homes. 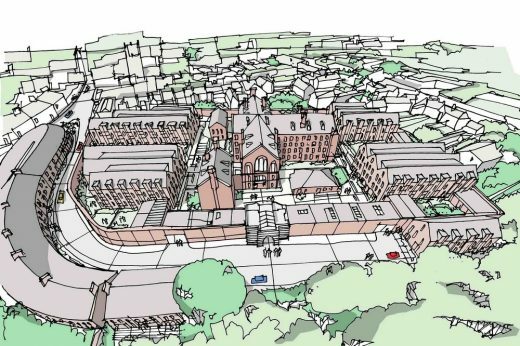 The proposal to develop the former HMP Dorchester was granted planning consent by West Dorset District Council on 16th February 2017. 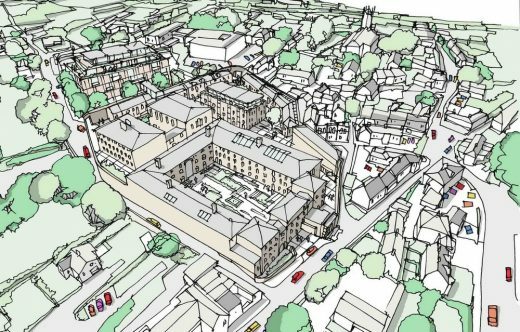 Planning permission was secured from Mendip District Council to develop Shepton Mallet on 18th January 2017. 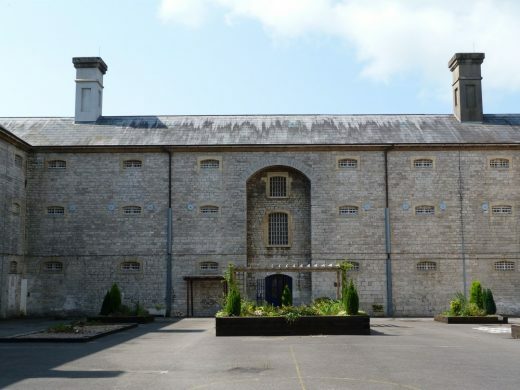 Prior to its closure in 2013, HMP Shepton Mallet was the oldest working prison in Britain with a colourful list of infamous inmates including the Kray twins. 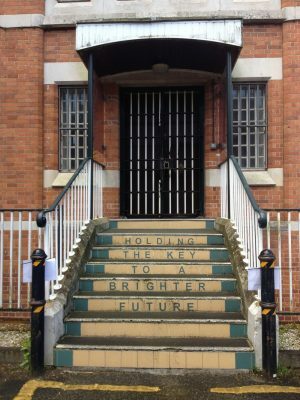 The Grade II and II* listed buildings, including the cell blocks, treadwheel house and workshops, will be refurbished and converted into 96 apartments. 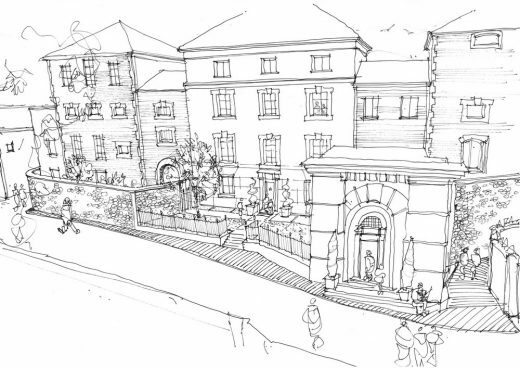 Within the prison walls, new apartments located on the site will comprise a new 23 unit residential block and 27 apartments within terraced ‘mews’ style housing. The former visitor’s centre and part of B-Wing will be transformed into a heritage space and a community café. 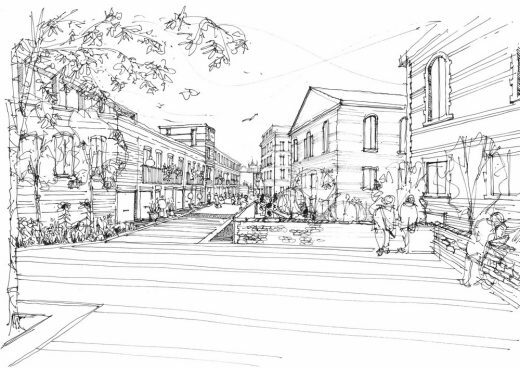 The site will also provide parking and high quality landscaping. 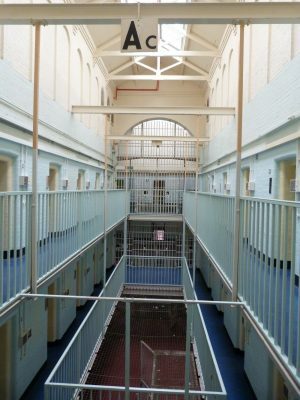 Within the historic cell blocks the quality of the top-lit atrium spaces will be retained and the historic features refurbished, with new apartments created through linking the former cells together. An opening will be created in the prison walls to allow improved pedestrian access into the historic site. 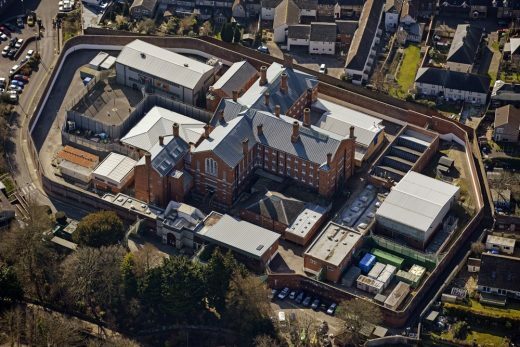 Also closed in 2013, HMP Dorchester is where the last woman was publicly hanged in Dorset. 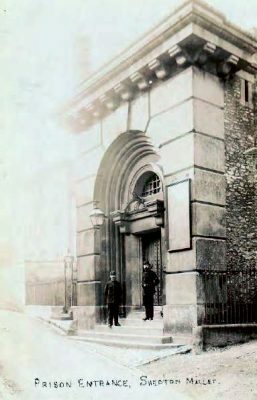 The prison, located on the site of a Norman castle, has historic links to the author Thomas Hardy. While most of the buildings are late Victorian, its Grade II listed gatehouse dates from the late 18th century. 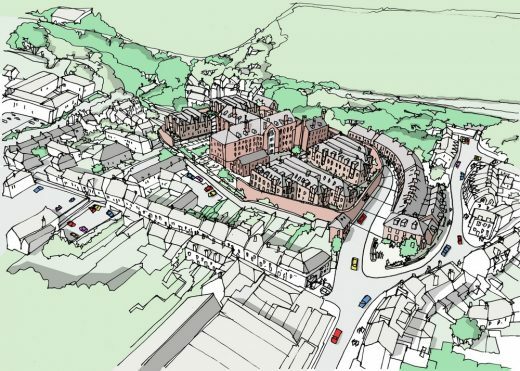 The approved plans will create 185 homes. 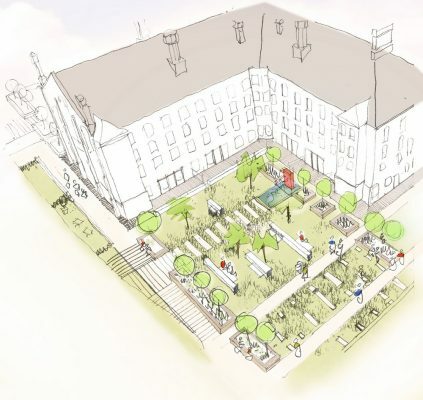 The main cell blocks will be transformed into 60 one and two bedroom apartments, while new terraced mansion-style buildings will provide 125 further apartments. The gatehouse will be converted into a heritage interpretative space for the public. 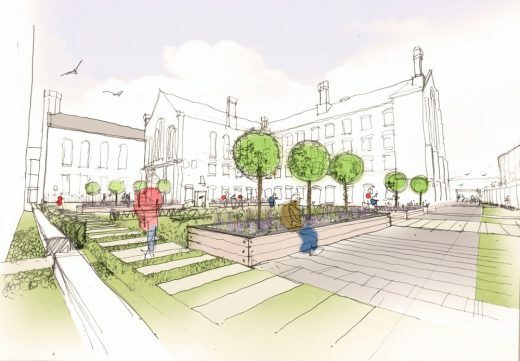 The designs also include new terraced houses and apartments outside of the prison walls, transforming what is currently a car park into an improved public space on North Square at the entrance of the former prison site. Purcell is the architect and lead consultant on both projects. Both sites are owned and are being developed by City & Country. The project team includes landscape designers OPEN, planning consultants JLL, multi-disciplinary engineers Hydrock, transport consultants Calidus and structural engineers The Morton Partnership. Having successfully secured planning permission, both projects will commence on site later this year.